Besiktas JK made a first big step into its first Turkish Airlines Euroleague season ever by bringing back Erman Kunter as head coach for 2012-13. Kunter, 55, is a former player and head coach of Besiktas. He replaces Ergin Ataman, who left for Galatasaray this week after having guided Besiktas to its first Turkish League title since 1975. Kunter arrives from Cholet Basket of France, where he coached for seven of the last 10 seasons. He made his Euroleague coaching debut in 2004-05 with another French team, Asvell Villeurbanne, in between stints with Cholet. He began his coaching career in his native Istanbul, with Darussafaka between 1994 and 1996, before coaching Besiktas one season, the Turkish national team between 1997 and 2000, then Galatasaray for a year. As a player, Kunter spent four different stints in a Besiktas uniform during a 17-year career between 1975 and 1992. 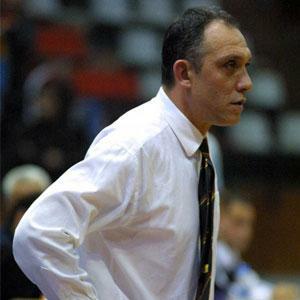 Kunter scored 153 points in a single Turkish League game in 1988, believed to be the highest official scoring total in a professional basketball game in the history of the sport.